Dr. Liu received his dental degree (DDS) from Shandong University School of Dentistry, China. He obtained further scientific education and received his PhD in Pharmacology from Heidelberg University, Germany. Before moving to Rochester, Dr. Liu completed his postdoctoral training in Neuroscience and also held faculty positions at Yale University. Dr. Liu enrolled in the residency-training program in Advanced Education in General Dentistry at EIOH and received his certificate in 2013. Dr. Liu brings a breadth of research experience in electrophysiology and neurobiology. His research activities mainly focus on glial-neuronal interactions and their implications in both developmental and clinical disorders. He is especially interested in elucidating the underlying cellular and molecular mechanisms for the pathogenesis and management of orofacial pain and other oral sensory disorders, such as dentine hypersensitivity, toothache, TMJD, burning mouth syndrome. His current research investigates the role of intercellular ATP signaling in dentine hypersensitivity and orofacial hyperesthesia. Specifically, his laboratory uses patch clamp, confocal imaging, biochemistry, genomics, and behavior approaches to determine how and why nociceptive signaling is modulated and enhanced in the trigeminal nervous system. 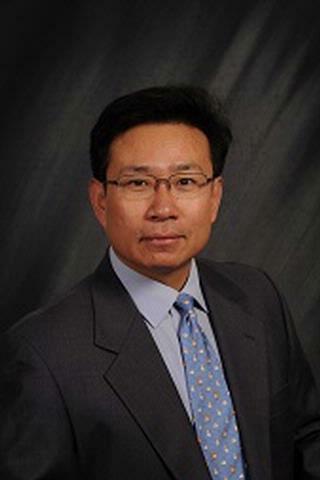 Dr. Liu has a strong publication record including research articles in Science, Nature Neuroscience, PNAS, Journal of Neuroscience, and Journal of Dental Research. Liu, X.; Ma, L.; Zhang, S.; Ren, Y.; Dirksen, R. T.;. "CD73 Controls Extracellular Adenosine Generation in the Trigeminal Nociceptive Nerves". 2017; 96: 671-677. Ma, L.; Trinh, T.; Ren, Y.; Dirksen, R. T.; Liu, X.;. "Neuronal NTPDase3 Mediates Extracellular ATP Degradation in Trigeminal Nociceptive Pathway". 2016; 11: e0164028. Zhang, S.; Qiu, J.; Ren, Y.; Yu, W.; Zhang, F.; Liu, X.;. "Reciprocal interaction between dental alloy biocorrosion and Streptococcus mutans virulent gene expression". 2016; 27: 78.